A lot of car makers are building Alexa skills for their vehicles, but these tend to be about making it possible for car owners to do things like turn on their cars from inside their homes via their Echo devices. Ford and Amazon are building an Alexa integration that goes the other way, providing car-to-home voice control with Alexa embedded in Ford’s SYNC 3 infotainment system. The Alexa integration is “the most comprehensive ever in a vehicle,” according to Ford’s press release announcing the news. Available skills via Alexa will allow drivers to do things like play and push playback of audiobooks and music, as well as do things they can’t do at home, like ask for specific local destinations and have those waypoints transferred to their in-car navigation system. Ford and Amazon share a belief around voice as an interface mode for consumers, and in the car the potential for voice-based interaction is higher, if anything, because it can help with distraction and make it easier to stay focused on the task of driving. 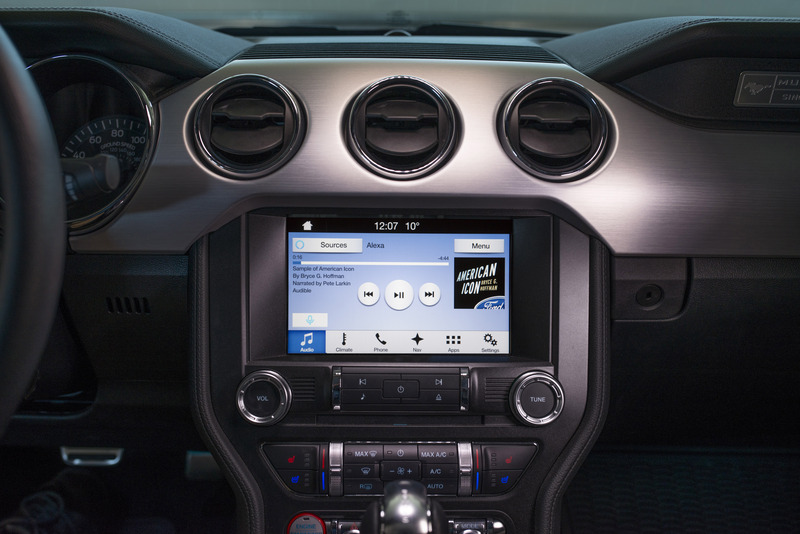 Alexa in the car is set to start rolling out to users sometime around this summer, Ford says. It will offer Alexa conveniences that users are used to, including easy ways to add items to shopping lists or find out about the weather. Amazon is controlling the Alexa side of the experience, and programming its integration with an eye to building a version of the service that’s even more optimally suited for in-car use. Ford had actually shown off the Alexa integration as a technical proof of concept at CES last year, but now it’s actually in beta testing with Ford employees ahead of its planned wider rollout later this year. I’m a huge Alexa fan, and I’ve long thought it’s the perfect experience for use in-car. In person, Ford’s demo of the tech worked well and did seem to make it a lot easier to ask for and get usable transit directions than is generally true of in-car voice-powered navigation. The extent to which Alexa can replicate or even improve upon its performance in the home will depend a lot on what kind of feature set It has once it launches vs. the Echo-based version. If most of its functionality makes the cut, it could be great – I’d love to be able to tap into my Harmony skill to set up my home theater experience for a good Netflix binge session while I’m pulling into the driveway, for instance. Alexa will also work from your Echo devices at home to control Ford vehicles, starting with Ford Focus Electric, Fusion Energy and C-MAX Energi cars, and all of those features will be available mush sooner – that’s coming later this month, letting you do things like start and stop your car or lock your doors from the comfort of your home via voice commands. Ford tells me this is “just the start” relative to the partnership and their plans for expanding voice-based interaction and virtual assistants in the car.